Price: $1.00 on Closeout. Please read text. 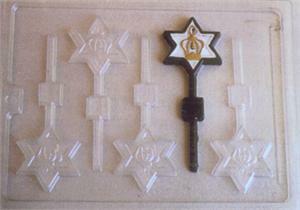 See drop bar for other Star of David molds. At closeout price, candy molds must be part of an order totaling a minimum of $20.